I have a friend who no longer wants his African cichlids. That should be my first warning sign. LOL. He has a 55 gallon tank currently housing one bumblebee cichlid, one yellow lab, and one peacock looking mbuna. I plan to set up a 75 gallon tank African cichlid style for them. My question is, will these 3 fish coexist in the long run, and will I be able to add any more? I'm a newbie when it comes to these particular fish. From what I read, bumblebees can be quite aggressive, mbuna moderately so. And yellow labs seem to be the most "peaceful" of the three. I'll take any tips and advice I can get.BTW, is it general fact or a misconception that you need to change the tank decor a lot or that overstock in reduces aggression? I want to do things right the first time. After checking my messages, the three fish are actually the yellow lab, bumble bee, and an ob peacock. Not sure if that's a true mbuna. I'm reading lots of conflicting info on the bumblebee too regarding their suitability for a cichlid community. Apparently all three have been coexisting thus far. I'm trying to get pictures of the tank in question so I can see how they have it set up. Good point on the powerheads. I don't have any yet but plan on getting a couple. Three free fish are beginning to get expensive! Gunnered is right about the rockworks that may be needed for an Mbuna tank. After all, 'Mbuna' means "Rockfish". There are plenty of variables to keeping Rift Lake cichlids. I personally do not believe in keeping them in an overstocked or over crowded situation to spread any aggression though. I have kept and bred several dozen different African cichlids and had several display tanks of them set up in my shops. Keeping all males, but not congeneric, or similar color pattern is one of the keys. Throw in a single female in the bunch and all hell will likely brake loose. I do believe they are all males. This African tank is turning really frustrating, fast. I've accumulated the stuff necessary to set it up but I keep getting the wrong freaking silicone. I have all these great rocks and gravel. The writing on the tu e is so small, I don't realize it's silicone 2 til I smell it. I'm going to have to pay for aquarium silicone and epoxy I guess. I hate set backs. I've been trying to get it together for weeks. Ugh!!! I've tried many different methods of keeping rock piles stable and together. For larger projects, the very best way to connect large piece of rockwork together is by first drilling a 5/16th hole all the way through. Then using 1/4th inch CPVC that will thread through the opening(s) in the rock. Then I would use AquaStick by Two Little Fishes or Hold fast, by Instant Ocean to fill the top hole. 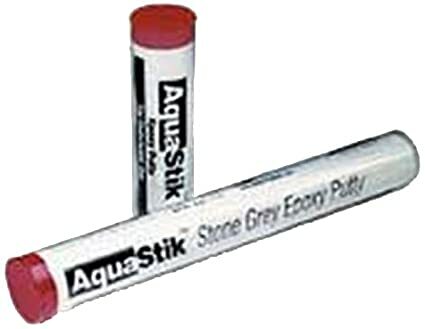 These are aquarium-safe putty-like epoxy. It can also be applied underwater. I had originally tried silicone a long time ago and it didn't last. It took too long to cure, ws difficult to keep rock piles stabilized while curing and the visible areas around the connections was not aesthetically settling to look at.